Jill Dewitt: Welcome. I am so excited and happy to be here for everyone on YouTube Live today. I think this is number 15. I lost track, and I have to tell you, today we’re just going to have fun. I don’t have any big agenda or anything major to cover. I just want to say hello, and give some stuff away, and explain who we are, and answer your questions. This is just gonna be a fun, quick, easy 20 minutes with me, so thank you. 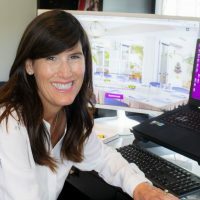 I am Jill Dewitt, co-founder of Land Academy, and if you don’t know who I am, my partner and I, Steven Jack Butala have completed close to 16,000 real estate transactions of all property types, not just land. We are now, have grown into this huge community of other investors, land investors. It’s Land Academy and so I’m going to kind of give you a little brief background, a little more about us, a little more about programs. 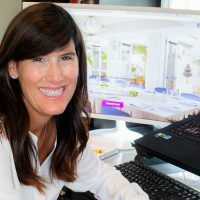 Jill Dewitt: A little more about what’s coming up and what we can offer you if you’re interested in learning how to flip properties, basically. First of all, our first program, it’s called Land Academy Cashflow From Land. It came out in 2015, as a result of our members, our buying customers, I should say. We had a lot of buyers as we were wholesaling land, and they came to us and said, “All right, you guys, how are you guys buying it so cheap? I’m buying it from you. I’m marking it up a little bit. I’m reselling it and making even more money off it. How the heck are you buying it so cheap? We had so many people like that that we came up with a program. We called it Cashflow From Land, because that’s what we had been doing. Steven since the nineties. Jill Dewitt: I came along later, and we created this program ,and it just went bananas. Fast forward ,to now and what we ended up doing again, because of our community and our people, we have now created an online community. We supply access to all the pro tools, and data, and maps and everything that you need to do to be able to be successful in this business. 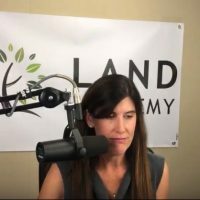 We have since rolled out a program called Land Academy 2.0, which we launched in November officially, and that is for everyone taking to the next level, or just wanting to do bigger dollar amounts or infill lots. Land Academy 2.0 is infill lots, and it covers all of that. Now what we’re doing is, we’ve just are putting the finishing touches on, we just finished recording, and are putting the finishing touches on Land Academy, we’re calling it 1.0, because it’s a kind of a refresh, and an in between of our original program on 2.0, and it really … It’s called Rural Vacant Land, and it really gives you insight on now, how to use everything that we taught in the original program, based on all the tools, and the resources, and the data, and the wonderful things that we have now that we didn’t have back then. Jill Dewitt: That’s kind of a little bit about our programs and what we offer. What I’m excited to share today is, first of all, enrollment is open, so we close it up for the first couple of weeks in January, so we could kind of regroup, align and kind of plan what we’re going to do for 2019, and come up with everything, so that is now open and available. What you see on the website when you go to Land Academy, you click join. You still don’t see very much there, but I want to tell you more is coming, just to kind of give you an insight. House Academy is coming up pretty darn fast. It’s going to be amazing. It’s going to be for everyone that wants to do what we do with land, which is basically, we know how to buy right. We all know you win when you buy it because it’s … We bought so well that it’s already worth so much more. Jill Dewitt: We just want to flip it and move on. We’ve been doing that with houses for years, and we are now putting that into a formal program to teach others to do what we do with houses. That’s coming up too, so anyway, enrollment is back open, House Academy is coming and I’m going to go ahead. I think I have a … jJust kind of some fun points here to share with you, but I think before I do that, I’m just going to jump into the fun part, so I’m going ahead, and explain what this drawing is, and I’m going to pick a winner. Then I’m going to open up to Q and A and I have some more things to share too. What I did a couple weeks ago is I made it … I put out a drawing for everyone who wanted to get a free program with Land Academy, and let me tell you, it’s not just one program. Jill Dewitt: It’s actually the three. What I’m about to give away here is our original Cashflow From Land program. I’m going to give out Land Academy 2.0, infill lots and the larger acres, and the big dollar amounts program. That’s going to be included right now, and as a third thing when it’s turned on in just a brief couple of days, I’m estimating, a brief couple of days, I will get … You will get automatic free access to that, which is Land Academy 1.0, rural, vacant land. You get all three of those, so what I did was I told everyone they had to … I announced this on YouTube a couple of weeks ago, and you had to enter, put in #landscademy. You had to subscribe, and leave a comment in our YouTube show, one of the shows this month, and then send a note to my team. I’m right now shaking up. I have, literally have names in here for the winters and I … This is like giving me goosebumps. This is so fun, ao I hope you’re watching. If you’re here, I just got handed to me my list of people kind of logging in and submitting some questions. This is live, so feel free as you’re typing in your, your notes here on YouTube, if you have a question you want to ask me after this, drop it in the YouTube comments right there, and I can see it. I’ll show you. Jill Dewitt: I can see it, and I can answer you, so I love it. Then I’m going to go ahead and really give more, do a formal Q and A, but you know what, let’s do the drawing. Okay, here we go. If I can get the lid off. All right, so the winner of the, all three programs here, the new person is Jaffe [Nigh [00:07:20] I don’t know if you guys … I’ll hold it there if you can … Wait, wrong spot there. Jaffe Nigh, if you are watching, I hope you are. Please put a little note in here, and let me know that you’re here, and watching, and what I want you to do … You know what? I’m going to do a couple more. You know what? I’m going to go crazy here. I’m not going to just give one away. I’m going to give three away. All right Jaffe, you’re number one. If you didn’t get your name drawn, hold on a second. I’m going to do it again. Guys, I’m just feeling that kind of celebration today. Why not? All right. Jill Dewitt: Arthur Leslie, if you’re watching, put in a little note, let me know. Otherwise you’re going to see this later when you watch this. You also just won, so you’re winning Land Academy Cashflow From Land and you’re going to win Land Academy 2.0. Those are available now, and then in a few days when it comes out, the 1.0, that’s the update for rural vacant land. You will autatmically have access for that. All right, there’s my two. All right, so Arthur Leslie and Jaffe Nigh. Now, you know what, just having fun. My team’s going to be saying, “Take this container away from her.” I hope they are. I’m going to do one more here. Why not? All right, Leslie [Lello [00:08:51]. It’s a Leslie day. Okay. Leslie Lello, if you’re here, and you are watching, please … Oh, That’s you, rthur. Thank you. All right, I see. Jill Dewitt: Got there. Al right, and then we’ve got Leslie Lello. All right, so I have three winners now. Jaffe Nigh. Congratulations. Arthur Leslie, congratulations, and Leslie Lello. Congratulations. You YouTuber people have been very patient while we figured out the whole live thing, and we’ll keep the videos coming, so thank you so much, and I’m so glad that you are here. I’m going to … Here’s what you need to do, so for our three winners. What I want you to do is email a note to support@landacademy.com, and they will get you the instructions, and get you rolling. They could even do it as early as the next 24 hours, so just send a note there. They’ll start turning on your access, getting you set up in there, and get you rolling. You do need to get on the membership for the data. That’s the one that’s not included, the membership for the data, and the tools that you need to use, but the programs and all that stuff is free. Jill Dewitt: Congratulations. For everyone who is watching who did not get drawn, I have something else for you. This is just a fun day. I love this. We’re just celebrating, having fun, giving things away. Why not? It’s the beginning of the year, spread the love, so here’s what I’m going to do. For the next, or the first 10 people, and this is not on my website, so if you’d go to the website right now, you will see I do have a promotion going on right now on landacademy.com. You click on the Join Me, and it pops up, and I think it’s $500 off. Then, a couple sessions in an investor group. For those of you who are watching right now, I’m going to make it even better. If you go to that page, and the coupon code that you want to use is called YOUTUBE. Type in YOUTUBE, all caps, and you will get a thousand dollars off. Jill Dewitt: It’s the first 10 people who go to landacademy.com. Go to the join, click on the cash flow for life, click on the silver membership program, open up that page. And when you have the coupon code there, don’t use the one that you see. Put in YOUTUBE, and that’ll take a thousand dollars off. It’s limited attendance. The first 10 people, if it works for you, you’re in, so go for it, so why not? That way, hopefully everybody wins today. If I didn’t draw your name, I still have something special for you, and want you to be part of this. Why don’t we … I’m going to go ahead and answer some questions, and see who’s here, and congratulate some people. I am so happy, so let me see. Jill Dewitt: I’ve got some people saying congratulations. I wonder if I can … Dumbass. If I touch on these, they’ll pop up, right, Joey? Yes. If I send … Hang on a minute here. Yep. I’ve got some congratulations happening. I have … [inaudible 00:12:12], you are so welcome. Glad that you won and you are, I think that’s Arthur Leslie. Thank you. Oh, thank you, Jill and Steven. You are so welcome. I am so glad. Thank you. Yup. Awesome. Joshua piped in three winners. Wow. Congrats. I’m so happy. I haven’t done this before like this. This is just fun. I love it. All right. We have … All right. Cody, I hope you’re doing this. Cody Investments said, “Congratulations, guys. Take advantage of it. I know I would.” All right, Cody. I got a thousand dollars off. It makes it sweet, so I hope that works for you. Check it out. We’d love to have you. I have another some … Aw, congrats, guys. Jill Dewitt: Molly Sharing. Congratulations. I’m so happy. Let’s see what else we got. Okay, here we go. I got some more questions popping in here. Let’s see. Wholesaling, I think I’m going to answer. I’m going to show this question for people. This is good, and then Steven, and I’ll show Steven’s answer here. He’s kind of weighing in and answering some questions, so we have a question from Joshua. It says, “Hello, Jill. I have a question. When wholesaling, do you deposit earnest money in escrow?” Here we go. I’ll read you Steven’s … I’ll just read Steven’s answer. He put it right in here, he put … This is Steven. Thanks for the question. 98% of the time, we actually complete the acquisition and purchase the property of escrow, but we do hold open the sell side for the new buye. What I’m doing, when I’m wholesaling, and on the purchase side, do I traditionally need to put down some money? Jill Dewitt: Traditionally, I do not. I’m so confident by the time I’m going to escrow, if they ask for some earnest money, I have no problem doing that too. Outside of escrow, do I do earnest money? No, we don’t. It’s just kind of … If I’m doing a self-close that we’re doing, it’s a, maybe a smaller transaction, we’re just doing it automatically on her own. Good question. Let’s see. Keep them coming. If you guys have some questions, I am happy to answer them. Let’s see, what else have we got here? I hope my winners are all here. Oh, thank you. Thank you. Skylar. Shylar’s telling our new people, welcome to the family. Isn’t itlike that, Skylar? Thank you so much. We are of like a family, and we are a very tight community, that’s for sure. Jill Dewitt: If you have not checked out our online community, I highly encourage you to do that. If this is something that you’re thinking about, the best place to get real answers and really talked to the people, our people, is right in landinvestors.com. That’s our own online community. It’s free, it’s open to everyone. You can get in there and start asking questions today. I know a lot of people that started in investing, just by the knowledge and the questions that they asked, and the answers that they got from our online community, and they got rolling enough. I know a lot of people that that’s where they started, and then when it got time to, all right, I’ve tested this enough. Now I need to really get some data for myself. Now I need to have access to things like Parcel Fact, so I can find these properties, and the other tools and resources that we offer access to. Jill Dewitt: Then they said, “All right, now I’m officially joining because I gotta have this stuff. It’s holding me back.” That’s really, really good, but we are a really good family and everybody really does help each other. It’s wonderful. I have a … What can you tell me about … A Jill Pay question? Jill Pay started as going to be our own little internal processing, because we couldn’t find anyone. We were having so much trouble. If you are in this business, you have probably found that it’s very hard to get credit card processors to understand your property type and if they do, they don’t want to do it. We’d been kicked off of PayPal in the past, Moonclerk, Stripe, you name it, because they don’t understand our property type. They don’t understand the land. They understand how fast we’re buying and selling it. It’s foreign to them. Jill Dewitt: We discovered it, so we started to go down our path and create our own, and we called it Jill Pay. In the process, we found another company, and are their name is Heartland. Took us a year to work with them, for them to really understand … Luckily too, we got Heartland, thanks to in. Talk about a good community. It was one of our members that knew someone that worked at Heartland, that got our foot in the door, and and kind of got it rolling for us. Without that, I don’t think we would have got this, I’m sure of it. Thank you, Greg, so because of that, now we have a company, a formal company, that is huge, and they are cheaper than anything we found. They’re actually less expensive than Stripe, and they understand our property type, and they’re all hooked up and ready to go. Jill Dewitt: They can handle cash payments, they can handle online automated payments. If you have someone that you’re selling a property on terms like $99 a month or something like that, you can set up auto pay things. It’s wonderful, and how you find out about it, and it’s open to everyone. You don’t just have to be a member, so because we’re just so happy to have it, wanted to share it with everybody. Go to landinvestors.com. That’s our online community, and you scroll down, you’ll see some things that … You might see Jill Pay, or Heartland, and that’s what it is, and just click on it, and it gives you instructions on howthat works. That’s one of those wonderful things for everybody. Jill Dewitt: Great question, Joshua. Do you advertise wholesale deals online? Yes, that’s our whole business. Wholesale deals for selling, so that’s it, because when I’m buying, there’s no advertising, so as a selling, wholesale to me is really how it’s priced, and how fast I want to move it, and how I run my business. We put our wholesale deals on our website, which is landstay.com. We put them on our big community website, which is landpin.com. We put them on social media, and then every … There’s numerous, there’s a long list of land selling sites that we also put our properties on. I’m not just selling to a wholesaler. I will sell to the end user. It’s just how I operate, is like I’m a wholesaler, and when people call I kind explain it to them. Look, this is kind of why it’s priced so inexpensively. Jill Dewitt: I’m not going to stand there with you, and take your picture of it. I’m not like a realtor or a broker. It’s not a retail kind of experience, if you will. Because of that, it’s priced this way, and lucky you. The right buyers are, once you just explain that, they go, oh. If you really want a survey, then I can go get you a survey, but what … If I go do it, and what I’m going to charge, where you just go do it on your own, then they kind of get it. But yeah, all the time online. That’s how we do … We buy them, and we used direct mail, and awesome data, and priced really well. It’s the three things that go into what we do, and what makes this all so magical, is having the best data on the planet. Cheap mail to get these offers out there, and really well priced, strategically priced., and that’s what we teach and what we share with everybody. These offers. That’s what makes my phone ring. That’s how I can buy them so cheap and that’s how I can just turn around and sell them so fast, because I bought it so cheap. I sell it cheap and then my buyer is still thrilled, so great question. Jill Dewitt: Thank you, because I was going to cover this. The question is, is there a way that people can talk to current members before I sign up? Two things about that. One is always check out landinvestors.com, our online community, everyone’s right there. It’s unfiltered. You can private message them if you want to ask them something off the record, and some of our members will even say, “Sure, I’ll have that conversation with you.” I have known some of our members, they’re just so awesome. They have shared their real phone numbers with people thinking about joining Land Academy, and so they could have candid conversations about what this is all about. That’s a good thing. If you want to even just talk to my team, that’s always free, too. If you go to landacademy.com, there’s a place on there. If you scroll down, where you can schedule a free 15 minute call with my team. Every now and then you get me. I’ve been known to pick up the phone and make those calls as well, too, just to answer questions, fill people in, and tell you what it’s all about, so let’s see here. Jill Dewitt: I have Aaron throwing in here, too. I hear you and Steven talking about the pro tools all the time. Can you speak a little about what those are and why I need them? Absolutely. If you can’t get your hands on the good, real data to send out these offers, then you don’t know if they’re getting to the right owners of the current data. That’s the whole point. Number one. Number two, this data … There’s all kinds of things that go into the pro tools I’ll cover, but my biggest one at the beginning is access to the data. You also need to have access to manipulative data where I can go in, and I can really, strategically say, “I’m going to hit this county. Oh, wait, I’m even going to even narrow it down. I’m going to hit these zip codes. No, wait, I’m going to hit even just … I’m going to draw a circle. Jill Dewitt: “I only want this area.” Dream it up. I can be that specific. Then I can go in and say, “All right, I want all the properties that are zoned this way. I want to take out anything that’s owned by … I don’t want a government entity. I want to take those out. I want to take out duplicates. I’m going to save some money, even.” dream it up. I’m maybe I’m doing big acreage in an area, and a whole county, but I only want to do five acres, so I might want to hit 4.9 to 5.1, and just get the right lists that I want. I don’t want them assessed at a million dollars because I know that’s nuts. I only want them up to this point, and now I’ve got a good group that I’m going to work with and send those people offers. Jill Dewitt: That’s part of, that goes into pro tools. You also need to be able to, so that’s getting your mail out. The other thing you need is cheap mail. We’ve worked really, really hard and we have special member pricing for our company called offers to owners, and that is our own internal direct mail company. No set up fee, and cheap mail. Oh, and we do the mail merge. I was going to say, what was other biggie? The mail merge. You don’t have to think about it. You can send the list, and tell us how you want your letter to look. We’ll put it together, get it out. It’s fantastic, so that’s the next thing, the pro tools. Then you need things for due diligence, like you have access to Title Pro 24/7, and that i, if you’ve ever heard of Agent Pro 24/7, it’s just like that, but on steroids. Jill Dewitt: It’s designed for title agents. Why? I need to be able to do my own homework, do my own due diligence., just really figure out if I’m going to buy a property. I need to get in there and see. I need to check title for myself. I need pull in reports for myself. I want to check the taxes, I want to get all … I need to get into all of that, so I have access to that. Now I need to know where to find it, by the way. That’s where Parcel Fact came in, and that’s a website that we created, and that is a wonderful site, where you can go in, and just put the state, county APN and you get a … It pulls right up on the map for you, all the quadrants, too, not just a center point, not four. If there’s 12, it’ll be all 12 points out there. Jill Dewitt: You’ll see the whole outline, and it really does touch the road, so you know right away what you’re doing. I can check ownership right in there, check zoning right there. It saves me time, too. I get cheap phone answering because I get 20% discount to [inaudible 00:25:02]. These are all the things that are in our pro tools. There’s so many more. Oh, I have member calls. I have weekly access. You would have weekly access to Steven and I every Thursday, where we’re right there, on a webinar, with you in a closed, private environment. You can ask whatever questions you were having, whether it’s a hangup on, I can’t get the mailer out, I’m afraid to hit the button to, I think this is a good area. What do you guys think? Will you help me real quick check something, and even, I have a seller. Jill Dewitt: I’ve never had this situation before. What do you think? Things like that. There’s support that we offer, too. So there’s that. I’m trying to think. I know there’s other things, and I’ll let my team weigh in here on and everything. I forgot. You know what? Actually, if you want to see the list of all the pro tools, go to landacademy.com. When you click on the join, that’s the page that comes up. If you just scroll down, it shows everything that’s included, and trust me, there’s more coming, because all we’re doing right now is trying to make it better, and easier, and faster for all of us. By the way, I’m buying and selling property right here with you. One of the things that I’m really doing right now is upping my game, and I’m funding deals so I didn’t mention it on this show yet, but we are doing Land Academy deal funding. If you have a deal, and it’s a fantastic deal, and you don’t have the funds to pull it off, I can help you with that. Jill Dewitt: I can fund the deal for you, so that’s all on the website, too. That’s for everyone too, and not just members. Right now, I’m not overwhelmed yet. It’s coming. I’ll make it work anyway, but anybody can submit deals for deal funding. Ben asks, maybe a loaded question, maybe a loaded question, but what would you say the prerequisites are to start on infill lots. Oh, you know, Ben. I got to tell you. Once you get in … I think you are a member, Ben. Once you get in and really dive into Land Academy, 2.0, which is all infill lots, and you see the data, what we can get online. How Steven captures data when he’s reviewing zip codes, and how to plug it into the spreadsheet that Steven has created for you, and you can look at it, and compare zip codes all at the same time, and you could see days on market, the total number of properties, how many properties are going for sale every month. Jill Dewitt: Is a number going up? Is a number going down? Things like that. It, makes even easier, so I have to say going right into infill lots is not crazy. The only thing that I think people have been afraid of with going into infill lots is they are traditionally more expensive. Now because we just … This just started what, three and a half weeks ago, we just decided that it’s official. We’re really gonna make it a big deal, and really fund these deals in a big way with Land Academy deal funding. Now you don’t have to worry about that, so if you find a fantastic infill lot for $40,000 because it’s worth $105,000, and you could probably get 140 for it, we’re here for that now. You didn’t have the 40,000 sitting around. I can help you with that, and I can fund it. Jill Dewitt: When I fund these, you don’t have to put … You did all the marketing work upfront, that your part is done. Now I take over and I’m paying for the deal. I’m paying for the escrow. If I think an info report is needed on that, I’m paying for that. It makes it so easy. Now you can breathe and then while I’m paying for that, right, and I’m getting it through escrow and getting it paid for, your job is to get it ready to market. Because the day that that baby is ours, collectively it’s … Escrow’s closed, and we now own that deal. I want you to be out there selling it as fast as you can. Then when it’s done, then we share the profits, so that’s kind of in a nutshell what the deal funding is, and now you don’t have to worry about being held back. Jill Dewitt: Let’s see here. Skylar says, “I have a question about buying multiple properties. Do I … one purchase agreement? Do I use one purchase agreement or multiple?” One purchase agreement. If it’s the same seller, you can list, even if it’s different counties. If you have this … This is a great question, Skylar. If you have one seller, you made this … They called you back, and you have my Jill’s cheat sheet, and so you’re asking, you ask them, do you have anything else for sale? They say, “Well, yeah, I have two properties in this county, and I have one over here, and one over here. I’m actually, I’m actually cashing out. Do you want them all?” Heck yeah. You guys negotiate whatever. You could put all of them on one purchase agreement at the bottom, just, I’m buying these five properties, put in the state, the county, the APN, and the purchase, and the acreage, and the purchase price, and just on one. Jill Dewitt: Then when you go to buy them, though, you can’t buy them all on one deed. You have to buy them on …. It’s per county, as long as the grantor and the grantees’ the same. If it’s the same county, and the same seller, and the same buyer, and I mean exactly the same, then you can use one deed and that’ll save you time and money and energy, too. Then when you go, just so you know, too, go a step further, when you go to sell them … Say you buy three properties from the same seller on one deed. You can just sell them individually, so that’s nice little thing. I’m always about make … Really, it’s not even about saving the recording fees. They’re usually not that crazy. I’m about saving some time here, so this is kind of a more of a … There’s a little more of a Steven question, but I’ll see if I can touch on it here. 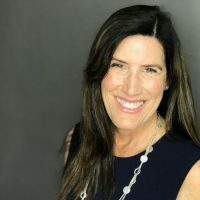 Jill Dewitt: What goes into scrubbing the data to get it ready for the mail merge once you have the data you want to work with? A couple things. You want to take out anything that looks odd, so you’ve downloaded a bunch of data for all the five acre properties. They’re zone the way you want them. Now you’re staring at a list of say, 2,000 names. What do I do next to scrub it? Take out all the duplicates. You don’t need to send everyone that … Somebody owns five properties, they’ll probably get it on the first letter. You don’t need to send them five, and waste the postage. It’s not a bad thing, but I might get annoyed too if I got five letters from you. I just kind of need one. I get the point, what you’re doing. Take those out. Jill Dewitt: Also, go and take out any, anything that looks odd, like maybe a piece of property owned by the city popped in there, a little park piece, accidently got in there. That happens now. Take that out. Anything that doesn’t look good, and then when you’re pricing, that’s where you really spend the time, and that’s what Steven really gets into when you’re learning, and in Land Academy, about pricing, and strategic pricing, and testing for reason, and what to use for gauges pricing, and the percentages. What you should come in at. Good. Great. Oh, I have a … Great. I have a welcome to the club, Tim. Only nine spots left. Okay, so of the 10 with a thousand dollars off, there are now nine. If you tuned in late, let me tell you what that is. I drew three names and they are … I didn’t do one winner. Jill Dewitt: I did three. I went a little crazy, and gave my team a heart attack. It was fun, so our three winners today are Jaffe Nigh. They are Leslie Lello, and they are Anthony Leslie. Those three people won, and then because we had so many applicants, so many people that submitted this, I had to tell you, we had way more people submitting to win this drawing on YouTube than I did on Facebook, when I did it however many weeks ago. This was huge, so I wanted to do more, so that’s why I gave away three. Then that’s why I’m doing a thousand dollars off, so it’s not advertised on the website, but if you go through the checkout process, and when you see the coupon code, put in YOUTUBE, all caps, all together, and you’ll get a thousand dollars off. All right, so I have a nice little happy face. Jill Dewitt: Great question. Jacob. Are there states or regions that you completely avoid? Nope, not really. As far as the US goes, no, so not at all. It’s jut, and this works everywhere. That’s something that’s important to say. If you really want to buy some, an infill lot in New York, somewhere busy and expensive, you sure ca. It works. You just price everything differently. That’s the whole point. Just whatever you want to focus on, whatever money you want to spend, you … It works everywhere. If it’s estate, we personally are just drawn out less. Steven grew up in the Midwest, he’s from Detroit, so he’s always loved out west, and I’m from southern California, so I naturally like it out here too. We do properties all over the country, and we are funding properties all over the country, so there’s nothing that you need to be afraid of. If it said an attorney only state, you budget for that and you hire an attorney. That’s just included in your costs. Things like New York, you need to … It’s a different situation than buying and selling a property in New Mexico. That’s all you have to do. Awesome. Let’s see here. Jill Dewitt: I’m going to touch on this one. It’s a little bit deep, I think, for this group right here, but I’ll touch on it a little bit for you, writer Mike. Writer Mr. Mike. Excuse me. When searching for a target county, is there a number that is too low or too high, say 20 or less listings, and are over 200 listings in that county. Is that saturated with investors, et cetera, or no activity? Actually, this is a good question, and Mr. Mike, I like it when there’s not a lot of competition. If there’s 20 or less listings, now I’m excited, because it’s obviously not … Unless they’ve been sitting there forever, but I don’t think so. Usually if it’s priced well, you’re still but so less listings. I’m going to get excited. A lot of listings, I would move on and we actually talked about this a couple of weeks ago on one of our weekly member calls. Jill Dewitt: Someone said, “Hey, what do you think at this county, and these are the numbers,” and we looked at it, and yes, it had … There were a lot of property for sale in that exact area that they were looking for. There’s 3,144 counties in this country. We can pick a different one, so I don’t … There’s nothing wrong with that. I might not do it. I don’t need to compete with anybody else. Honestly, I would rather be somewhere out there where no one else is really touching, and that happens. That’s one of the things about Land Academy, and I know why our members are so successful. We don’t believe in a … There isn’t one, there is no secret buyer’s list or secret county list, I should say. It works everywhere. You just need to know what you’re looking for, and that’s what Steven really gets in and shows you. Here’s what I’m looking for, and here are the triggers, and here’s how far I would go outside of this area, and here’s why. Jill Dewitt: Here’s why this, looking at census maps, and population density maps, and target, big MSA city areas. That’s what we teach you, and as a result of that, we have so many members now that are killing it in parts of the country, in counties. We even had one the other day, a member submitted a property where we’re sitting there going, I have never heard of that county. These deals that they were submitting to us were fantastic. That happens. That happens, so don’t be afraid of that. It’s really, really good. All right, I’m about to say congratulations, kind of recap, and wrap it up. I promised I would make this short. Hang on one second. I think I … Making sure I covered … Excuse me. I have a few more. I’m going to actually, I have a few more. I found a page two here. I’m a touch on real quick. I think I’ve got everybody. Jill Dewitt: All right. I think I am good. I have congrats, a lot of congrats in here, so thank you, everyone. I’m so happy. Again, thank you so much for watching. Congratulations to my three winners, Jaffe Nigh, Leslie Lello, and Arthur Leslie, and welcome to Land Academy. Again, it’s not too late. I had 10 slots available for a thousand dollars off. It’s not on my website and it is not out there anywhere else. It’s just watching this video that you happen to know about it. Again, get involved. Get in my online community. Ask the people some questions. You want to talk to my team, find out some stuff? Put your name in. Go to the website, sign up to get a free call with my team, and we’ll fill you in. I’m so happy you’re here. Thank you for watching. 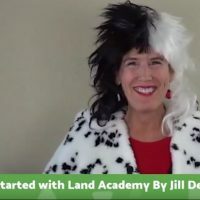 I’m Jill Dewitt of Land Academy.